"Super-Clean Carpet Cleaning Services are the longest established and most experienced local family-based based carpet cleaning company in the area who have been cleaning carpets in the South Tyneside region since 1992"
We are the only company in the North East to use 'ACTIVE' BioSolve cleaning detergents. 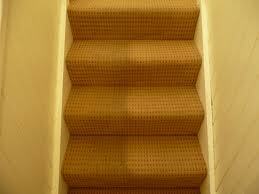 Active detergents do not need a lot of water so the drying time of the carpet is considerably reduced. Most carpets will be dry again in less than one hour so by the time we have finished the cleaning of your carpets they will typically have a zero dry time! 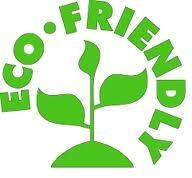 Active detergents also leave your carpets much cleaner and fresher than conventional wet or dry cleaning methods. 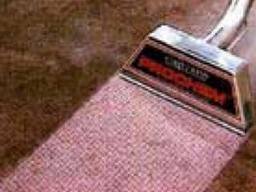 There are many adverts in local papers offering carpet and upholstery cleaning at cheap prices, especially around Xmas time, but these adverts are usually placed by people who are not professionals and do not have the correct machines, experience or insurance. Which ever company you choose to use please always make sure that they are: fully insured, fully experienced, have the correct machinery (not just a hired RugDoctor!) and they use the correct cleaning chemicals. Also make sure they have a landline number with a physical address, and also check that they have an established track record for doing a good job! so you are guaranteed an excellent job! Are you looking for the best local Carpet cleaners in the Tyne and Wear Area that you can trust to get the best possible results? Based in South Shields, we are a local family company and we have been cleaning carpets and upholstery for domestic houses, bars, hotels, and businesses throughout the Tyne and wear area since 1992. We cover all of the South Shields, Jarrow, Felling, Boldon, Sunderland, Washington, Gateshead and Newcastle areas. Not only are our prices extremely competative but we also use the most modern and powerful professional 'Active' BioSolve detergents and hot water extraction machines (the cleaning methods preferred by carpet manufacturers). Using top quality eco friendly detergents and after care products ensures that the finished job is much cleaner, fresher, and drier than any of our competitors! Just look at the difference our professional machines can make to your carpets! 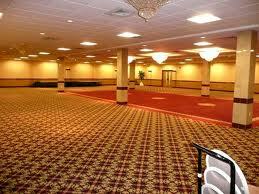 We can deep clean any type of carpet or rug including pure wool. 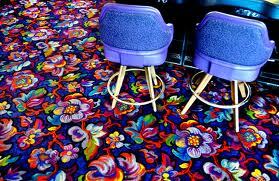 When we have finished, your carpets will smell as fresh as a daisy and looking new again. 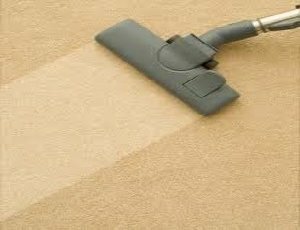 This does of course depend on the condition of the carpet, but rest assured that our fully experienced operator will be able to advise you before commencing any work regarding the expected outcome of any cleaning job. At *SUPER-CLEAN* we also use eco-friendly, non-toxic, hypo-allergenic cleaning products for the safety of you, your children, your pets, and your home. 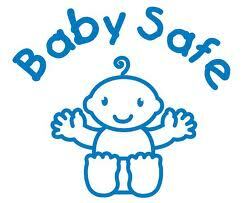 We guarantee to give your carpets and upholstery the safest clean in the industry! Did you know that whilst our professional machines are cleaning you carpets they are also removing: Dust mites - Fungi - Viruses - Dirt-attracting oils - Pet odours - and even the toughest stains. 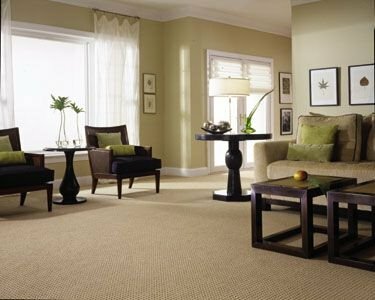 Vacuuming your home carpets with your regular home vacuum does help to maintain the overall look of your home. 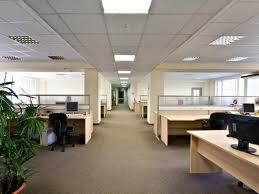 But for a true, deep clean, it's best to schedule a professional clean of your carpets once a year. With our 'Active' BioSolve cleaning detergents, and our powerful Extracta hot water extracion cleaners, you can also be assured of a very quick drying time, and your carpets could be looking as clean as the day you had them fitted! Check out our short video describing our 9-stage Hot Water Extraction carpet cleaning programme that we use in pubs, clubs, restaurants and commercial premises. 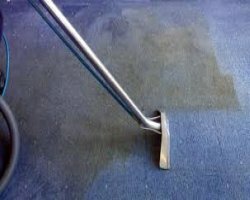 As well as general carpet cleaning we also undertake spot stain removal on carpets and Stain-Guarding treatment to protect against future mishaps. 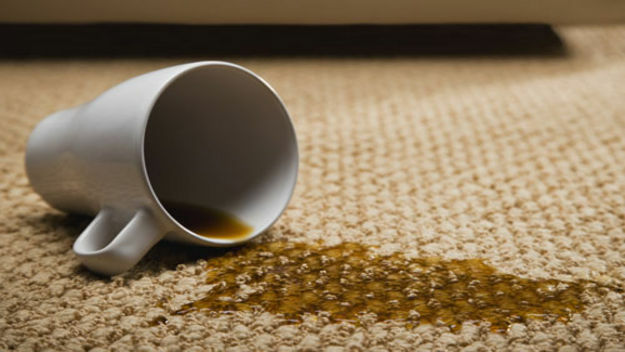 HAVE YOU JUST HAD A SPILL OR STAINED YOUR CARPET? Our business clients include Guest Houses, Hotels, Clubs, Bars, Pubs, Restaurants, Shops, Factories and Offices, no matter how large or small. Our vans are fully equipped with the correct types of professional machines and a variety of cleaning solutions to ensure that we can clean your carpets and upholstery to the highest possible standard. If you do not get an answer it may be because we cannot hear you calling due to our machines running so please leave us a voice-mail message or send us a text and we'll call you straight back! We are the No1 Choice for Carpet Cleaners in the South Tyneside area !